Decorative Door Hardware for that Finished Look. One of the great ways to add design elements and style to your home is by adding decorative door hardware. Your front door is a great way to make a statement. Simply let us add decorative hardware that matches your homes style and your main entrance will be immediately enhanced. If you are making home improvements, don’t forget to add decorative hardware to your interior and exterior doors to get that finished look. With more than 40 years of professional experience, Amboy Locksmith provides Staten Island homes the decorative touch your door hardware needs and deserves. We have various decorations for doors, customized locks, and door hangers. 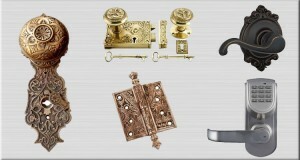 Contact us today and inquire about the best decorative door hardware services in Staten Island!